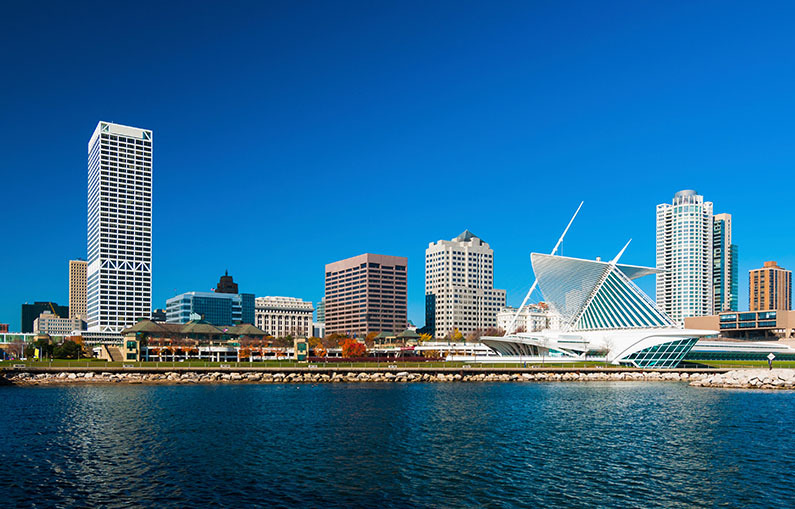 Situated along the scenic banks of Lake Michigan, Milwaukee boasts nicknames aplenty. “Brew City” to some, “Miltown” to others—this Midwestern metropolis caters to all visitors with its big-city bustle and small-town ambiance. Expanded in 2015 to include an additional 30,000 square feet, the Milwaukee Art Museum houses more than 35,000 works of art. Known for hosting one of the largest collections from Wisconsin native Georgia O’Keeffe, MAM contains a surplus of incomparable works. With incredible views of Lake Michigan, the museum sits in a haven of history, and offers a taste of Milwaukee’s thriving architectural scene. With products ranging from police tape to astronaut ice cream, you never know what you might find at American Science and Surplus. Classified as a hybrid toy store/hobby shop, this mad scientist’s playground is chock full of oddities and conventional objects alike. The inventory may seem random, but it’s part of the shop’s appeal—stop in for test tubes, telescopes, or just a wide-eyed walk through the aisles. Eyyyyyyyyyy! One of Milwaukee’s more amusing attractions, the Bronze Fonz is, undeniably, a tribute to the uber-suave Arthur Fonzarelli of Happy Days fame. The sitcom, which took place in 1950s Milwaukee, has earned its place in Wisconsin history: the Fonz has been giving his iconic “thumbs-up” to the passersby on the Milwaukee Riverwalk since 2008. Selfie-takers unite—the Fonz is an ever-willing subject of your photographs. Founded in 1888, the Basilica of St. Josaphat is a masterpiece of Milwaukee. Constructed in a Polish cathedral style, the basilica is a living tribute to its ancestors. With a massive copper dome (one of the largest in the world), incredible stained glass windows, and a stunning peace that exudes throughout, this architectural feat is reminiscent of similarly grandiose European cathedrals. If you happen to be in town on a Sunday, consider attending a mass; the basilica choir is amongst the best. To plan your trip to Milwaukee or for an extended guide of things to do, visit the official Milwaukee city guide at http://www.visitmilwaukee.org. To learn more about specific flight information, hotels around the airport, ground transportation and more, visit the airport's website. Click the link below find the status of any CLE flights. There are currently no updates. Follow us on Twitter to stay current on all CLE news. Current CLE updates. Follow us on Twitter to stay current on all CLE news.